Cinnamon, a prized spice native to the forests of Ceylon (Sri Lanka) in the Indian Ocean, gets its name from the Greek word kinnamomon. It was among the first and most expensive spices to have sailed the seas to be soldaround the ancient world. The Arabs, Phoenicians, Egyptians, Greeks and Romans made a wide use of cinnamon. The spice was, in fact, in such high demand that they named one of the famous Spice Routesafter it. 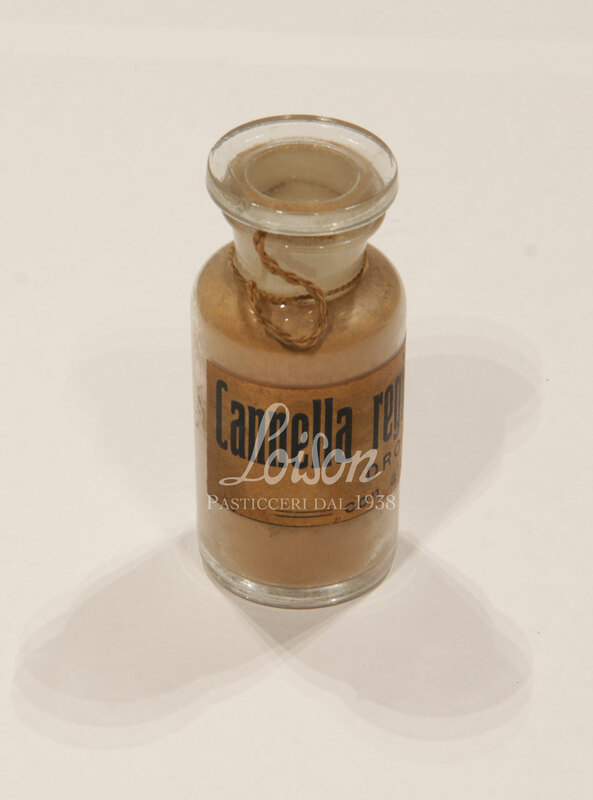 Frequently mentioned in the Old Testament as a component of oils, perfumes and royal ointments, its unmistakably sweet and warm scent made it suitable for various uses,from fumigations in religious ceremonies to medicinal recipes and perfumes. From the time of the Ancient Romans, cinnamon was also used to flavor and dress foods. This custom persisted in the Middle Ages, when cinnamon was used in the sweet and sour recipes of that era. In the Renaissance, cinnamon appeared in haute cuisine books by the finest master chefs and the powder form of this spice was often sprinkled directly over desserts and cakes. Cinnamon, cloves, ginger, saffron, nutmeg and sugar were the “spices” that distinguished the banquets of the Italian noble and refined courts of the 1500s. The secret chef at the service of the popes, Bartolomeo Scappi, listed the main spices every chef should keep in stock in one of his most famous treatises on 16th century cuisine. At the top of his list wasindeed cinnamon, in the amount of 4 ounces. “From my experience, I find that any spice, if fresh and no older than a year, and with a good fragrance, is much better, and seasons all sorts of food better, than any old spice. Here I will recommend the amount of each spice, so to make a pound’s worth of blend of spices that can be usedto season different foods to one’s taste, as explained above. B. Scappi, Opera. M. dell’arte del cucinare, Venice, 1590, book I, chap. 26. 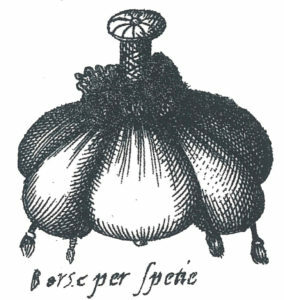 A bag for spices used in the 1500s. The image is taken from Table XI of Bartolomeo Scappi’s book in: J. Di Schino, F. Luccicheni, Il cuoco segreto dei papi. Bartolomeo Scappi e la Confraternita dei cuochi e dei pasticceri, Rome, 2007, p. 109, table XI.